FLG is delighted to present the first commercial solo exhibition for the very talented, internationally award winning artist Janne Kearney. Saturday 8th December 1 - 3 pm. Although this is a free event, please RSVP by 5 pm Tuesday 6 December. Collingwood Gallery, 292 Smith St, Collingwood; 20th Oct - 3rd Nov.
All welcome to opening night viewing and drinks Friday 6-8pm, Oct 20. 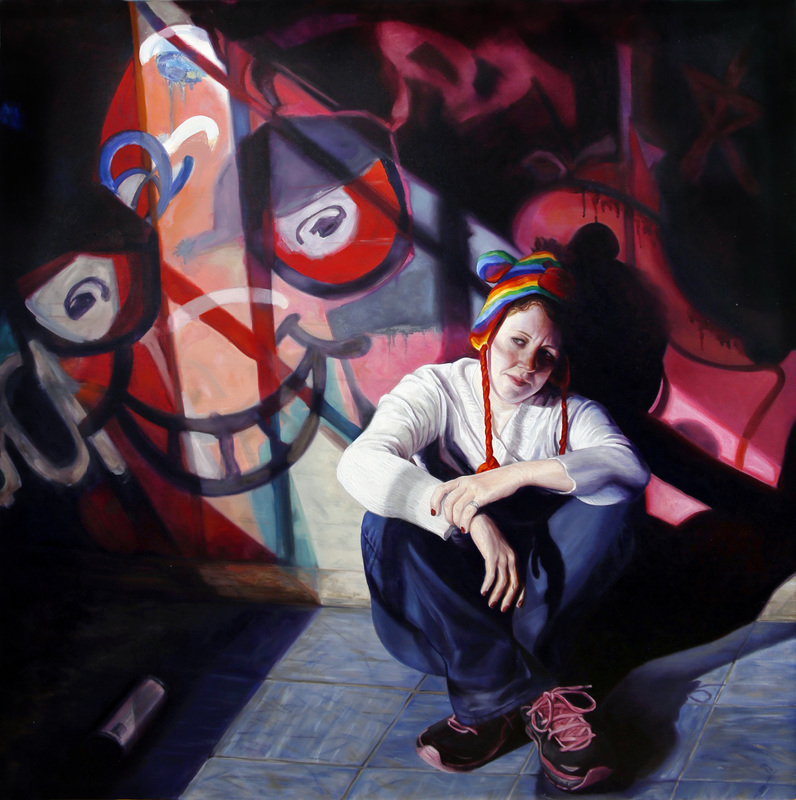 Go figure is Janne Kearney’s new exhibition, predominately a figurative and portrait artist, her paintings ask the viewer to disregard preconceived perceptions of people, society and at times reality. Her works are innovative forging new grounds in art by exploring 3D technology; her 3D paintings are stand alone 2D images until viewed through chromagraphic glasses, it is science converging with art. It urges us to renegotiate painting as being part of a reactive or – at times – autistic medium; objects and people are dissociated from their original meaning...they challenge or overturn traditional beliefs, customs, and values, consciously utilizing both traditional and innovative techniques, her work explores surreal/ethereal and neo popular culture. 3 of my paintings selected for the Arte Dall'Australia to be exhibited in Turin Italy.